Good afternoon. I am a 75 year old Pensioner and totally non-political. 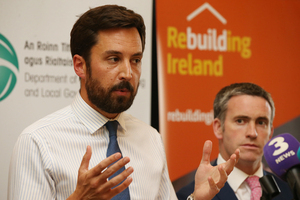 I don’t comment on Government or ministerial matters as that is normally well covered, however, I am incensed at a new quirky turn that Housing Minister Eoghan Murphy has taken . I have been following his pronouncements about all of the controls he is going to inflict on landbank holders, housing stock holders and developers. Now he has decided to turn his attention to the really bad Boys and Girls of the Nursing Homes. It seems to me that Minister Murphy has woken up to the fact that the developers, stock and land holders have him back in his box. What is it with this country? Nobody at the top and I mean NOBODY has the real desire to make any real changes. We have seen it week in and out. 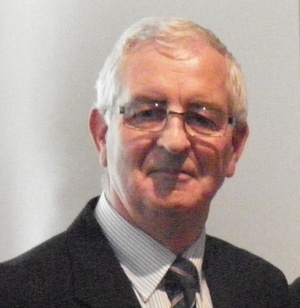 We have the Gardai sorted out, we have the HSE sorted out, we have this one and that one sorted out. Then we are told that ” Ah, we cant actually do that “. I totally abhor President Trump but there are times when I wonder. 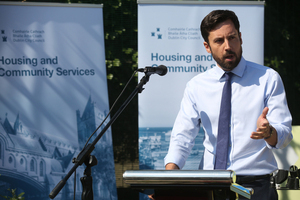 Posted in Misc and tagged Eoghan Murphy, Housing at 4:46 pm on August 15, 2017 by Admin. Amen. All together boys ” Kiss up and Kick Down “, our national motto. It’s an obviously policy by gov to just not build houses citing various reasons acquisition, legal & labour costs etc.. That’s all rollix, they own vast land banks the control bureaucratic red tape. There was just under 100,000 housues built in 2007. I can remember how fast estates & apt blocks popped up. 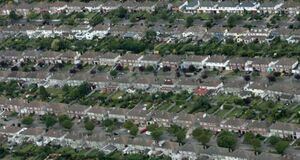 They could build tens of thousands of houses overnight if there will was real concern, instead we are lead by a technocratic eu driven policy that has visions a population renting in perpetual limbo from cradle to … nursing home. Turns out murphy is just as useless as the last c.
J. Did u really expect any different? Go onto the oireachteas site and check out all the legislation that hasn’t been commenced by successive housing ministers and ask yourself why not? Vested interest or incompetence? You decide. I think the market has learned that if you release a load of new houses onto the market to meet demand, then the prices do not go 13-15% YoY. 75 year olds have it made. Yeah, yeah Kenny. Kill all old people – until it’s you. They are the generation impacted least by austerity, downturn, and the current accommodation crisis. In fact they OWN a good deal of that accomodation. They get handouts from the state on top of it. I don’t advocate killing anyone. 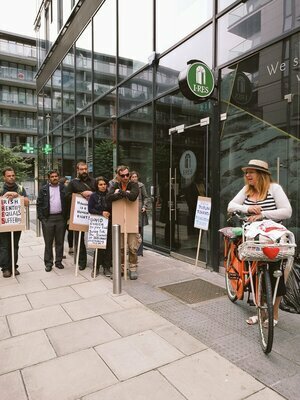 But anyone over the age of 65 should pay at extra 20% solidarity tax on their pensions and BIK for tree travel and the rest of it. Plus, they smell of wee. You really have not one single clue, have you Kenny? I can’t spare the time to explain things to you, or be even slightly annoyed. Life really is too short for that crud. In 50 years time, people will say the same about 20 somethings now. Come the revolution the last place I’ll be storming is the joy or limerick. one of the (secret) agreements is that the state will explicitly not attempt to engage in any sort of useful or meaningful social housebuilding program for some defined period of time and instead will deliberately sit on hands and explicitly engineer an environment where only international private property concerns can succeed and profit. roundabout public housing is to be made a commodity….something that had it been attempted in a straight way would cause utter war. FG are party to this connivance now (successive FG ministers now coming up with utterly ludicrous & pathetic mickey mouse after mickey mouse delay tactic “policies” unchallenged which all amount to nothing) quite apart from any usual local pro business trickery because if ye remember back to the day FG who ordinarily weren’t within an arses roar of being elected were suddenly in on goal because of the crash spouting all sorts of electioneering bllx about showing the Troika who’s boss :) but in reality were told to hold the line and they would be in for a 10-15 year cycle which they are on course for despite being inept clumsy and constantly disappointing. I think there’s much larger things afoot and that we are all asleep at the wheel too worried and exhausted about ourselves and our immediate family scenarios to get to the truth of the matter anymore. Interesting hypothesis captain.. the parallels in other large cities cannot be coincidental. U.K. ? Exact same stuff going on. Sydney Toronto San Francisco. Our capitalist overlords seem to want to phase out home ownership for the masses.. we must pay up to the wealthy. Feudal times are here again! If the government actually wanted to tackle the housing crisis they could build thousands of houses in a year. 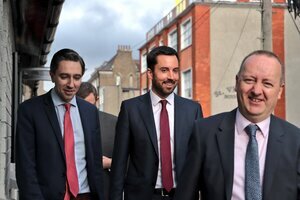 Its been done before: in 1975, when Ireland was far, far poorer, 9000 social housing units were built in a year. Theres absolutely no reason the same (or better) couldn’t be done next year. The reason we instead get all of these excuses and schemes and time wasting is because FG obviously don’t actually want to solve the housing crisis. Why would they – it’d only bring housing prices down. 10,000 homeless…. it’s not actually that much. Could be solved with 4,000 housing units, which could be built in a matter if months if the will was there. I’ve no time for Tom Parlon of the CIF but his address at the MacGill Summer school was interesting. Looks like the developer class can’t make headway with the Govt. Fed up – I suspect that you are quite correct. Incidentally, Otis, I didn’t mean to be so harsh. my annoyance is directed at Parlon, not at you. Then you go and spoil it all by saying Trump. Trump who has delivered nothing. So what incentive do the lost generation of graduates who graduated from 2007-2012 who were unable to start their career. May left for a year or two and came back to the dole queues. Some are still struggling with renting within a commutable distance, with hours wasted on the roads. What incentive do they have to get onto the property market to be told that your assets will be used to pay for your healthcare. With the stroke of a pen the norms can change. They can bring in excessive taxes on pensions/savings or anythign else they want. If they want your money/assets, they will take it from you.